In 2015 the St John Ophthalmic Association (SOA) was formed, bringing together professionals from across the Priories of St John to promote the academic activities of the Order through enhanced teaching, training and research. 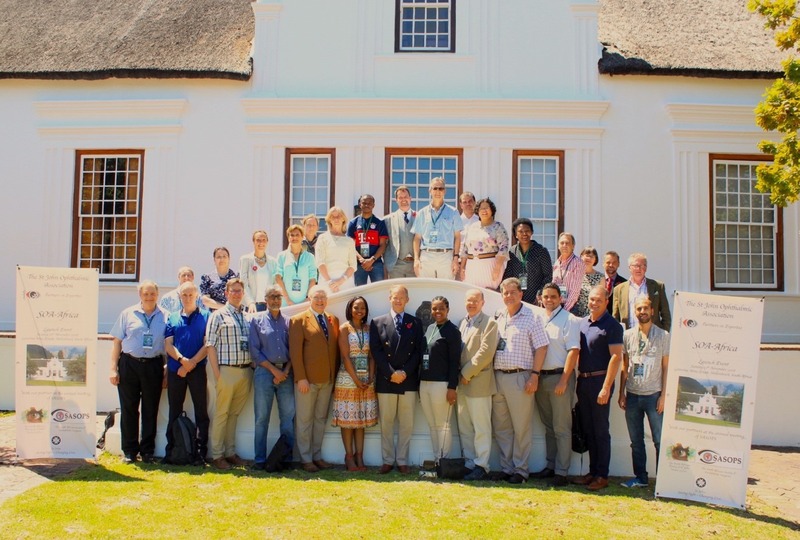 The African Chapter of the St John Ophthalmic Association (SOA-Africa) was launched at the Lanzerac Wine Estate in Stellenbosch, South Africa on Armistice Day — the 11th of November — 2018. The launch followed the annual congress of the South African Society of Oculoplastic Surgery (SASOPS), who hosted the event. Mr. David Verity, Chancellor Col Kevin Williams, and Joint CEO Mr. George Woods were given an opportunity to present key information on the work of St John Worldwide and, in particular, that of St John South Africa. The St John session at SASOPS was followed by the inaugural meeting and AGM of SOA-Africa in the Lanzerac estate, led by Mr. David Verity. A clear goal, intention, and role of the SOA-Africa were established and agreed upon. For the success of the local association, Dr. Grant Ladner and Mr. George Woods were elected as the senior leadership. The meeting was adjourned with a light lunch and informal conversation. The Africa Chapter of the St John Ophthalmic Association completes the formation of the SOA, joining the European, Middle Eastern, Asia-Pacific and American Chapters. We wish SOA-Africa all success, and look forward to productive collaboration between the SOA, the St John Eye Hospital Group, and the Ophthalmic Hospital of St John in Johannesburg, South Africa. 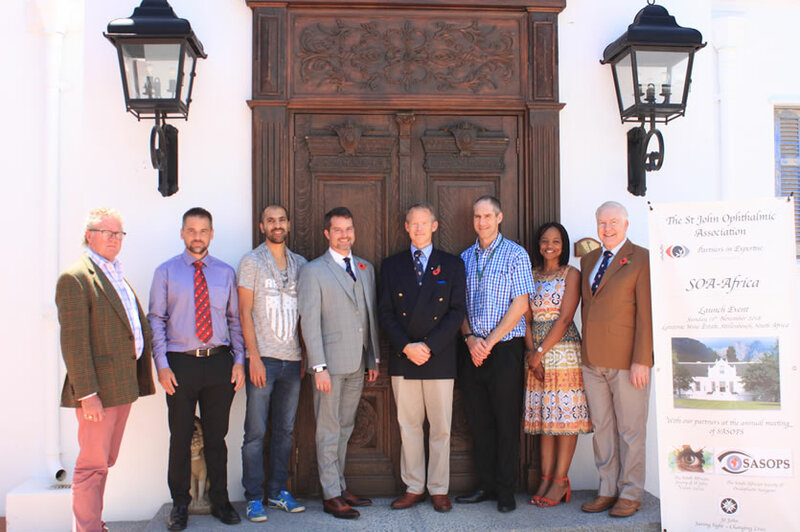 The launch of SOA-Africa was supported by the South African Priory of St John, with presentations on their Priory work given by the Chancellor Col. Kevin Williams (left), Joint-CEO George Woods (centre), and Business development manager Chris Martin (below).